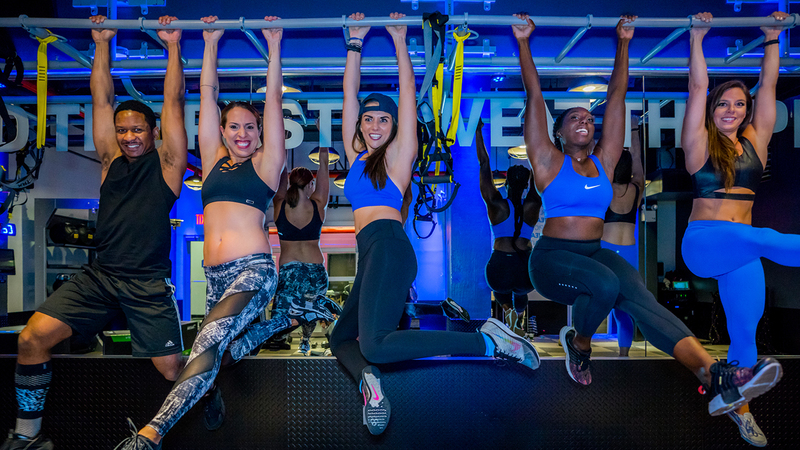 The SweatShed by Crunch is an immersive workout studio delivering high intensity, interval training (HIIT) workout sessions in a motivating, music-pumping, modern-industrial themed space. The Shed incorporates intense bursts of activity guaranteed to make you sweat. Our Shed Masters ensure you get an effective full-body workout by incorporating a variety of workout equipment and exercises into each session. Everyone needs that extra push, which is why at the end of each session, we partner you up with another Shedder to help increase motivation through the final moments of your workout.